Since 2007, more than 3000 children have been helped by this program in the areas of education, health and nutrition. This number excludes those we have helped indirectly by empowering their mothers economically. We have also connected some of these children to sponsors around the world. The sponsors are in Europe, Australia, Asia, Africa and in the Americas. 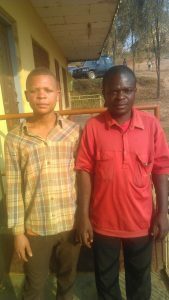 See what it takes to sponsor a child http://goodnessmercymission.wordpress.com/2012/01/30/sponsor-a-child-for-only-10-amonth/. Profiles of underprivileged are made weekly. We are ever in the lookout for sponsors to choose a child or children. People have also donated lump sums to handle the situation of a number of children for a year or two. 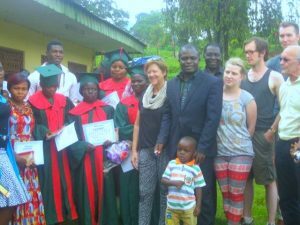 Sustainable Programs for the Child Sponsorship: Some time ago Catalyst Exhibits, Designing Company in USA and Bekins Van Lines Company, a moving company in USA donated motor bikes that serve as taxi business. They have been generating income daily and sustaining the education of underprivileged children at an elementary school at the village of Jinkfuin. The first year helped 33 children and the following years have seen an increase of more than 96 children yearly. See Jinkfuin school http://www.nabuur.com/en/village/jinkfuin. Our plans are to add more motor bikes to sustain the child sponsorship program. Children who do not yet have sponsors will receive help also. A motor Bike with the documents costs about 1035 USD. We are also working toward other income generating projects to sustain the child sponsorship program. This is another most successful program of GMM. It has benefited close to 500 women and right now we are dealing with 39 women groups. These are groups we have already funded and helped with skills development. They are found in several communities in Cameroon, largely in the North West Region and then in the Littoral and South West Regions. The women are involved in various income generating initiatives like retailing of palm oil, maize, beans or making tradition dresses, detergent, shoe polish and candles. Their raw material ranges from bee wax to weeds and fibres collected from some plants. 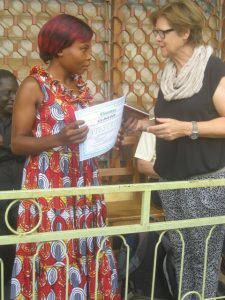 About 827 USD can fully fund a group of about 10 women, giving it seed money as well as a revolving capital over the years. The income of the women continues to increase as they take the proceeds from their businesses, reinvest by loaning out to members upon monthly interest. 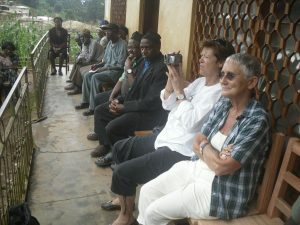 Our funders have been The World Bank through The Cameroon Development Market Place of 2011. Our project came 3rd among the more than 260 organizations that contested in 2011. The final results evaluating the implementation were demonstrated in Yaoundé in 2013 and we were among the best organizations that successfully implemented the project. Each of the groups has a capital that continues to revolve and it will be around for many years except the women take the decision to be defunct. Catalyst Exhibits Company USA through its Area 3 charity has funded some of the groups twice. Check our pressing needs page to see how you can support a group. A computer training institute has been equipping the youths as well as the communities of Boyo division with computer knowledge. The lab is at Belo where the GMM headquarters are. 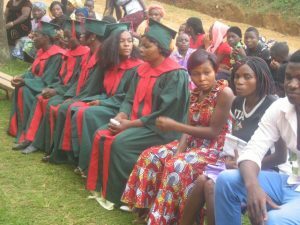 Since its beginning 67 students have graduated and more than 500 received informal computer training without receiving a diploma at the end. It is a 9 months’ course before graduation. There is also an after school computer training program for students. We have also created Computer labs in several schools around Boyo with assistance from Helps International and Computers4Africa. Examples of Such schools are Government Bilingual High School, Belo; Acha Baptist College, Akeh Baptist College, Christ the King College Fundong, Faith International School Fundong, Baptist Evangelical school of Theology, Beruda etc. The computer lab in Belo has been assisted by Informatik Afrique, Switzerland. Jesiele and Evrim both online volunteers helped us fundraise to add to the computers. There is still a demand for more computers and laptops as students overcrowd during the holidays. For the program to be sustainable we do charge a small fee for some people. We need a good photocopier to earn money and sustain the program. We have a staff we cater for and there is one who works as the hardware assistant. See pressing needs page on how you can help. 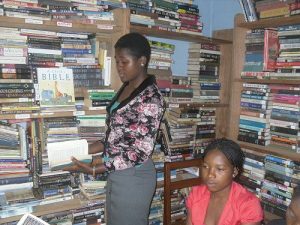 A library of assorted books has been established by Goodness and Mercy Missions to help the Belo community. 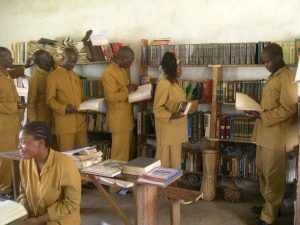 More than 4000 books brace the shelves of this library. It has been a blessing to secondary, high school and University students. We continue buy or request more books for the library. Most children go through school without a textbook of their own. They cannot just afford to buy in the market. It is no small thing if they have a place to borrow books. It is a place students can make research and farmers, doctors, etc find information related to their fields. 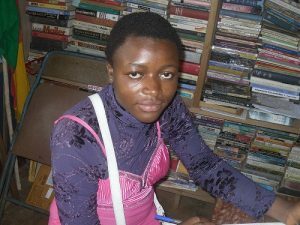 The library has received books from Darien Book service, from individuals and from the Director Teh Francis. See pressing needs page. GMM has involved several youths in learning a trade, that is sponsoring them in driving schools, hairdressing saloons, carpentry, computer, tailoring etc. Many of these have graduated and have their own jobs. It takes an average of 120 000 FCFA for a young boy or girl to learn a trade. When they have done it, they receive self employment. 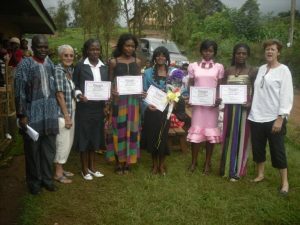 Teenage mothers have largely been the beneficiaries of this program. With no one to help them, we put them back in the line of life. 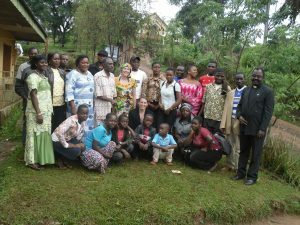 See Goodness and Mercy Missions young mothers program. We have utilized the services of both online and on the site volunteers. The online Volunteers have been the UN Online Volunteers. The do an excellent job. They have made GMM all what it is today. We are proud to have volunteers all of the time. If you wish to volunteer, click here.